If you spent your childhood before Smartphones and Smartphone games took over, you would have definitely have put your hands on any of those video gaming consoles. There are plenty, as you know, such as PlayStation, Nintendo Entertainment System, SEGA, Game Boy, N64 and a lot more. Indeed, the entire scenario of gaming has changed and a lot of technologies have been implemented, up to an extent that you don’t need even a console or controller. Despite all these, such video games are a part of good memories for some of you. Would not that be awesome if you can regain those memories ? 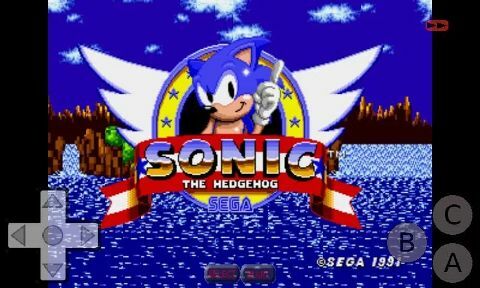 Do you want to play your favorite video game — say Sonic the Hedgehog — on Android Smartphone of yours ? Well, Gaming Emulators for Android is the answer for these questions. By installing emulator apps in your Android Smartphone, you can play these games in the Smartphone screen. In this post, we have created a list of best emulators for Android. There are both paid and free emulators in the list and you have to choose the app according to the console emulation you need. For instance, some apps offer support for handheld consoles whereas others are for bulky ones. As the name says, Nostalgia.NES is a Nintendo Entertainment System emulator for your Android Smartphone! You’ll get the app from Google Play store and there are no games pre-installed. One of the best, free gaming emulators that are available for Android, Nostalgia.NES is noted for the simplicity of use and richness of features. Also, both users & experts are impressed by the dedicated emulator for Android. So, we were saying, you can turn your Smartphone into a Nintendo Entertainment System, by downloading favorite video game of yours; it may be Super Mario or Contra. Yet another impressive feature of Nostalgia.NES is an easy to use, yet customizable Controller interface. Also, there are advanced options for game rewinding and game saving. It also lets you enable multi-player games. If you just want to play NES-based games out there, Nostalgia.NES would be the best option to go for. SuperLegacy16 is a premium emulator for Android, with some advanced features you won’t expect for the price. It’s an SNES Android emulator, meaning that it will let you play games compatible with Super NES consoles. What makes it different from other emulators for Android is that it’s regularly updated and there’s support from developers. Also, the features are high-end. It just weighs 4.8MB and costs $1.49 but worth what you pay. For instance, the whole UI of SuperLegacy16 is way too impressive, and there’s enough space for both screen and its control panel. It not only supports a variety of SNES games but also detects the game you input. Also, there’s a wide collection of supported cheat codes, mouse supported for some games, Turbo mode, multi-player gaming using Wi-Fi or Bluetooth etc. It’s a good, premium SNES emulator for Android, we assure. PPSSPP is a PSP Android emulator you can have use to play the favorite PSP-based games out there. Once you install the app in your Android device, you can bring any PSP into the Smartphone screen, by converting the file into the ISO or CSO files. If you don’t have any games with you, you can be satisfied with the homebrew games, available online. However, there are some PSP games that don’t work in PPSSPP — GTA and Dragon Ball Z, for example. If you have a Tablet PC with a relatively higher hardware specification and features, PPSSPP will make it more or less a powerful PlayStation Portable. Controlling sectors of the app is really impressive and most of the games work fine, given you have sufficient resources to pour in. 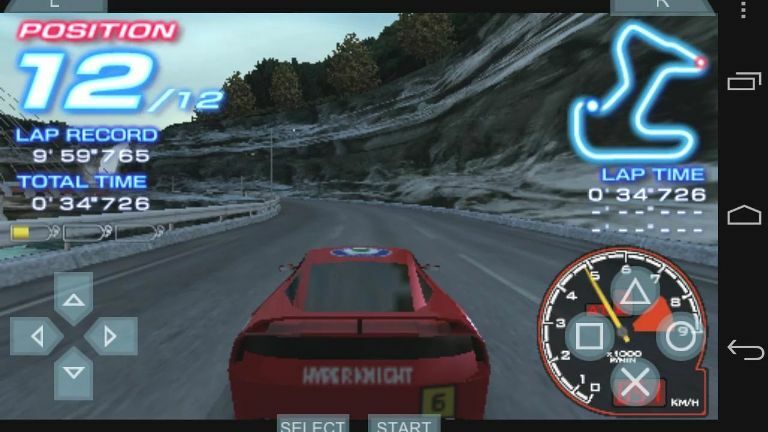 Other features of PPSSPP include HD resolution gaming, more options for saving games and support for external controllers. My Boy! 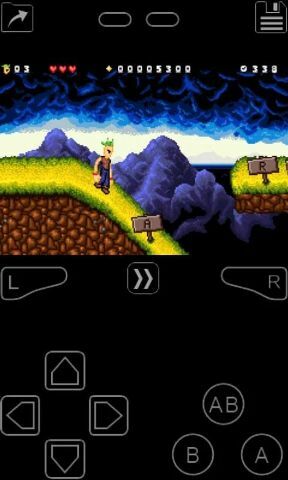 Free is one of the best GBA emulators for Android Smartphones out there. 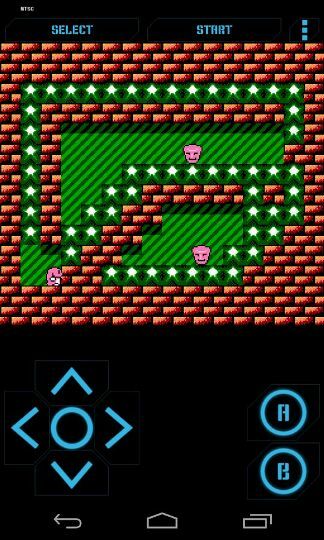 Using this app, you’ll be able to play games made for Gameboy Advanced. 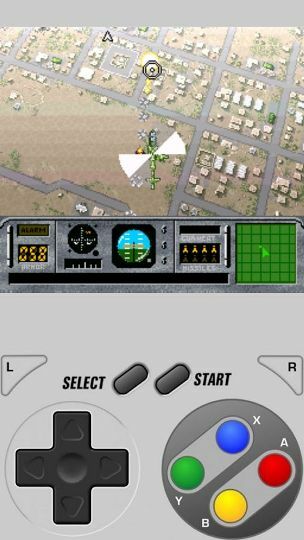 An impressive fact about the emulator is that you can run it even in most basic Smartphones out there. This is actually a free version and a paid version of the same app is available for $4.99. Notable features of My Boy! Free include the fastest emulation process, support for various sensors for an enhanced gaming experience, OpenGL rendering backend, on-screen keyboard, support for some external controllers available there, clean User Interface, etc. On top of all these, My Boy! Free offers wide support for Gameboy Advanced games you can download. If you go with the premium version, you can get features such as instant game saving, option for fast-forwarding games, gyroscope sensor support, multiple screen-layout profiles etc. If you miss those games you used to play using your Nintendo DS, you should check out the DraStic DS Emulator, which is one of the best DS emulators for Android. You will be able to play almost every Nintendo DS game you can download. For instance, you get a higher resolution emulation of the Nintendo DS. Also, there is an option to attach external controllers to your Android Smartphones to have a more native gaming experience with the DS-based games. In addition to the seamless gaming, you get features such as progress-saving and game synchronization options, and you can save the progress in Google Drive space. The Android emulator is praised by serious gamers and experts, at the same time. Altogether, DraStic DS Emulator is one of the best DS emulators you can have for your Smartphone running on Android. It’s a premium emulator, available for $5.99, but is worth what you pay. 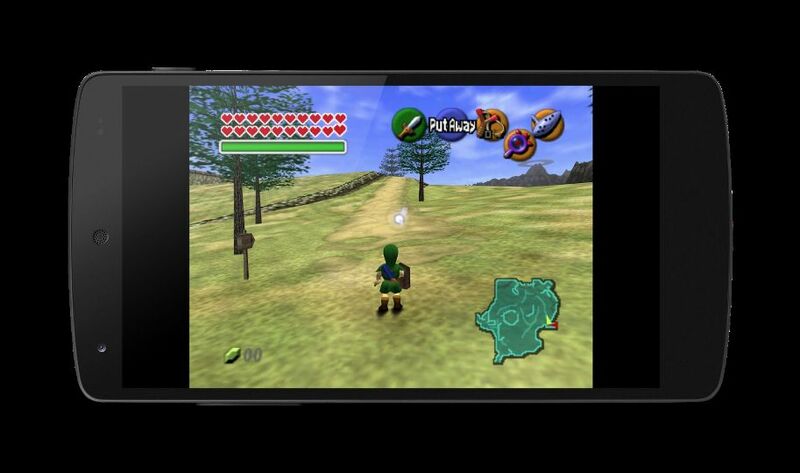 MegaN64 is a dedicated N64 emulator for Android, available free of cost. Using this emulator, you will be able to get into the world of those N64 games you’d been accustomed to. It’s based on an Open Source project and you may trust it when it comes to stability and performance. Through the modifications, the developers have managed to get a better-level performance in some devices from Samsung and Nexus series. Altogether, it’s a satisfactory option. That having said, you may have to face some kinds of annoying advertising stuff and notifications during installation of MegaN64, but it’s good after some time. If you can tolerate the annoying stuff as well as the graphical glitch on its way, you can go with MegaN64 and it would be a good choice, for that matter. At the least, you can count this app in when you need a free, effective N64 emulator for your Android Smartphone or Tablet PC. If you’re looking for an option to play those games in SEGA consoles, you can go with GENPlusDroid, which is an all-set Sega Genesis emulator for your Android device. You can play both Sega Master System & Sega Mega Drive games in the emulator, quite seamlessly. If you have a good Smartphone with graphics options, GENPlusDroid would give a satisfactory visual experience as well. The emulator is completely free to use and the way you control the game can be customized, thanks to the Interface of GENPlusDroid. Also, other options such as frame-by-frame rewinding are there in the app. In addition, if you like a complete gaming option, you can even connect supported controllers and continue the game, as if you’re still in your childhood. After all, it’s free to use. Welcome back, Sonic the Hedgehog! So, there are different kinds of Gaming emulators for Android listed here, and it’s purely up to your convenience and interest to choose one. For instance, on top of the list, we have Nostaliga.NES, which is a highly praised emulator of Nintendo Entertainment System. On the other hand, if you want to stick onto the Sonic way, you can go with GENPlusDroid. 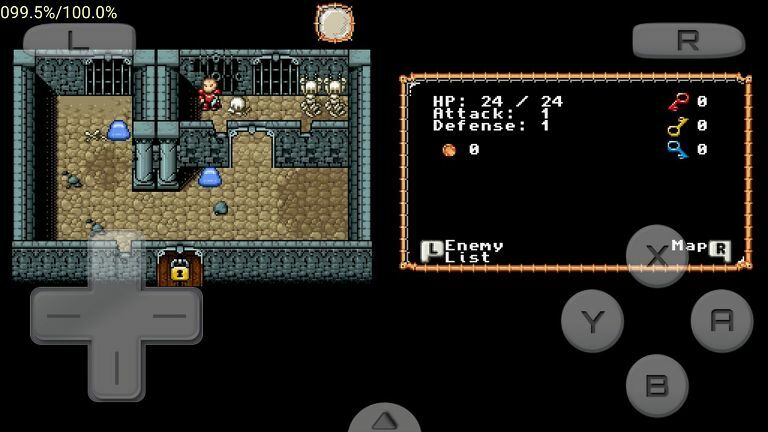 There are both paid and free emulators for Android, and you can go for the premium version if you like advanced support from developers and other features. Also, it has to be noted that most of the emulators don’t come with pre-installed games. You have to download the game files from the web, and they weigh just a few kilobytes.